Mr. Markham devotes most of his practice to litigation, particularly the litigation of claims for antitrust offenses, false advertising, trademark offenses (including counterfeiting) patent misuse, and certain kinds of real estate litigation. Mr. Markham has also provides antitrust counseling to certain major clients, which have included the world's largest manufacturer of LED components, a global manufacturer of automobiles, the world's leading manufacturer of pulse oximetry equipment, and others. Mr. Markham has frequently appeared in various media, including Bloomberg TV, the New York Times, the Los Angeles Times, ESPN, NBC-San Diego, Univision, and others. 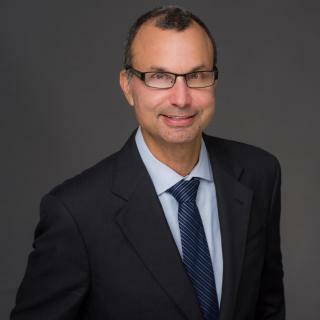 He has been listed since 2013 as a "Superlawyer" in antitrust law for the San Diego region at Superlawyer.com and has the highest possible rating (suberb, 10.0) from Avvo.com, the attorney rating service. He has also received various other public honors. Mr. Markham is completely bilingual in English and French and also speaks Spanish fluently. Mr. Markham sometimes gives free consultations and decides in his own discretion whether to do so after reading a short summary of the prospective client's matter. Mr. Markham's firm sometimes accepts contingency fee arrangements and other kind of alternative fee arrangements. Mr. Markham took a sabbatical during part of 2001 in order to "follow the sea," which has been one of his great passions. Mr. Markham worked as a litigation associate and worked on major antitrust cases, writing complaints, drafting and opposing motions, working on discovery, and working on a trial team in one of these cases. Mr. Markham worked as a summer clerk in the Competition Law Group of one of Canada's most prestigious law firms. Semi-Finalist for "Best Real Estate Litigator"